Caribbean Dunes 122 was great! We were there for Spring Break and found it to be in a good location to the beach but yet in a quiet neighborhood. Family friendly. Clean. Heated pool was great!! Would definitely recommend!! Thank you for sharing your review for Caribbean Dunes #122. We are so pleased to know that you all had a great experience for your Spring Break vacation in Destin, and that you appreciated the quiet area close to the beach, as well as the seasonally heated pool. We hope to be welcoming you all back again soon for another stay with us at Harmony Beach Vacations in beautiful Destin, FL! Good stay. Harmony Beach staff very helpful and friendly. Thank you for your review for Caribbean Dunes #122. We appreciate having you as our guest over the years and we're so glad to know that you had a pleasant stay with us this Winter. We hope to see you again soon! Overall, we had a good experience.. Thank you for your review of Caribbean Dunes #122. We appreciate having you all as our guests over the years and we're glad to know that you had a good experience in this condo. We look forward to welcoming you all back again soon as our guests for an even better stay with us next time here in beautiful Destin, FL! Favorite place to stay in Destin. Thank you for sharing your review for Caribbean Dunes #122. 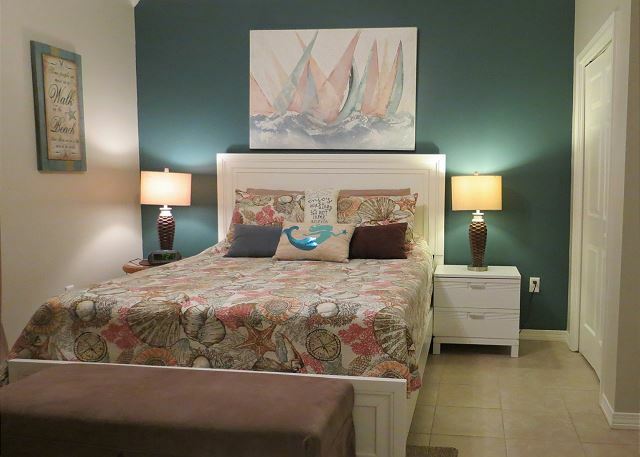 We are so pleased to know that you had an awesome stay in this wonderful Destin condo and we're delighted to hear that this is your favorite place to stay here in Destin! We hope to see you back soon as our guest for another awesome beach vacation stay with us here in Destin, FL! Thank you for sharing your review for Caribbean Dunes #122. We are so happy to hear that you had a good stay in this beautiful home and we look forward to having you back again soon as our guests here in Destin! Thank you for sharing your review for Caribbean Dunes #122. We appreciate having you as our guest and we're so pleased to hear that you had a pleasant stay with us! We hope to welcome you back again real soon as our guest here in beautiful Destin, FL! Thank you for sharing your review. We appreciate having you all as our guests and we are so pleased to hear that you had a pleasant stay with us! We hope to welcome you all back soon for another Beach Vacation here in Destin! 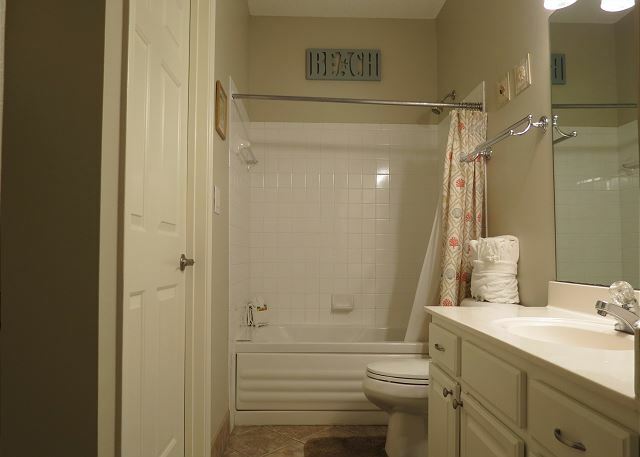 very nice location that is close to the beach walk. One block to a little coffee house that is the only one around in walking distance. we cant wait to book another trip and would stay here. Thank you for sharing your review for Caribbean Dunes #122. 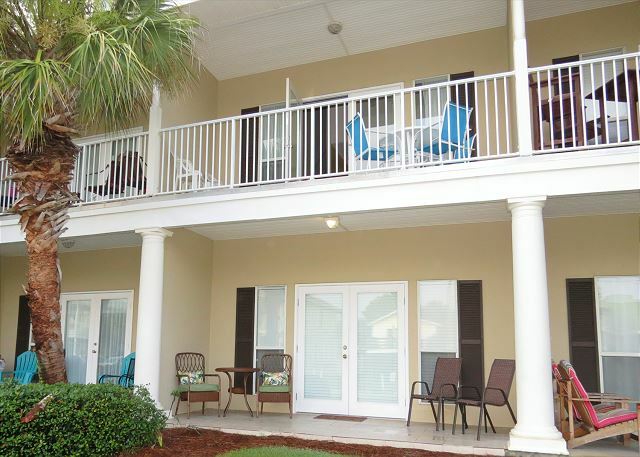 We are delighted to hear that you all had an Awesome vacation stay with us in this beautiful condo and we would love to welcome you all back soon as our guests in Destin, FL! The condo was very comfortable! Felt like home so close to stores, beach and other places. I was very pleased how clean it was. I will definitely stay here next year!!! Thank you for sharing your review for Caribbean Dunes #122. We are so pleased to hear that you all had a pleasant stay with us and that you found the best place ever for your beach vacation in Destin! 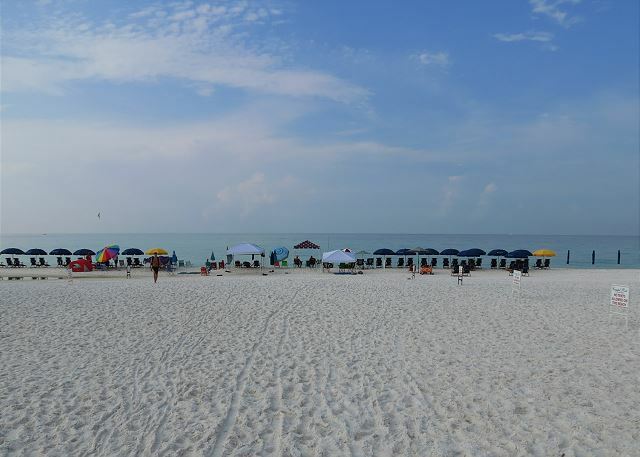 We look forward to having you all back again next year, or sooner, as our guests on the Emerald Coast! It was very difficult to find the office. The address 3100 was hard to fine, because you can't see the #'s. The street address needs to have lights around theme for late arrivals! Once we gained entrance to our condo, everything was great. Thank you for sharing your review and suggestion. We are so pleased to hear that you all had a wonderful vacation stay with us and we hope to have you all back soon as our guests at Caribbean Dunes in Destin, FL! 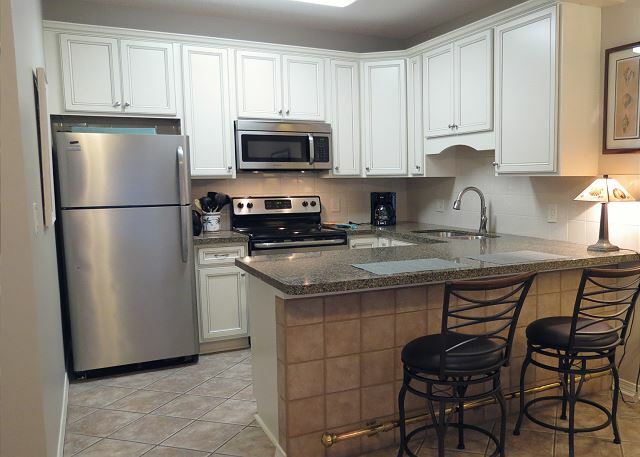 We always try to stay in a vacation rental when we travel, and this condo was very clean and well appointed! The kitchen was well stocked and had everything we needed, and more. The beach was a very easy walk (right across the street)and we really enjoyed being so close. If you are traveling with a family I might caution you about storage space and privacy. The bunk beds are built into the hallway (as pictured)so privacy could be an issue if you are traveling with young children and they need to go to bed earlier. Also, the appliances are VERY LOUD and since the washer and dryer are in the hallway it can cause sleep disturbances. However, these were not issues for us because we were traveling with teens. I only mention this because families with young children might find the arrangement challenging. If you are driving, pack a few extra rolls of Toilet Paper, Paper Towel, Dish Soap, Laundry Detergent, and trash bags. It will save some money and some running. Super convenient to all shopping and dining and we felt we got very good "bang for our buck." We traveled in off season, so it was very quiet. I could not speak to how this location would be if the town was buzzing. We were on the first floor and the only noise we heard was people walking around upstairs. On a side note, DON'T waste your money on a snorkeling tour in Destin. They literally drop you at the beach and it is wall to wall people. My kids saw NOTHING (except one hermit crab and a pair of broken sunglasses! )and were really disappointed. We have done other snorkeling tours and this was a joke! Destin is a beautiful beach town and we would definitely book with Harmony again! Thank you for sharing your review and suggestions. We appreciate having you as our guests and we are so pleased to hear that you enjoyed your stay with us! We welcome you back anytime! From the moment we walked into our unit till we walked out, it was as if we were at home. The unit was well kept and initially stocked to make as feel at home. This is our second experience with harmony and have been totally satisfied. I will pass along harmony's info to all my friends. Thank you for sharing your review. We are so pleased that you all enjoyed your stay with us and we would love to have you and all your friends as our guests in Destin! Thank you! We had a wonderful stay. It was clean, convenient to the beach, and quiet. Thank you for sharing your review! We also appreciate your feedback. It is our sincere hope that our guests will always let us know immediately of any issues with their home so that we can quickly remedy these and our guests can enjoy a worry free vacation. We are so pleased that you all had a wonderful stay with us and we hope to soon have you back as our guests here in Destin! Great spot on awesome beach! Mom and 3 kids' first time in Destin. Loved everything except drive home! Can't wait to return. Thank you for your review. We enjoy having you as our guest and we look forward to having you stay with us again! Good experience. Staff was great to work with. Thank you for sharing your review. 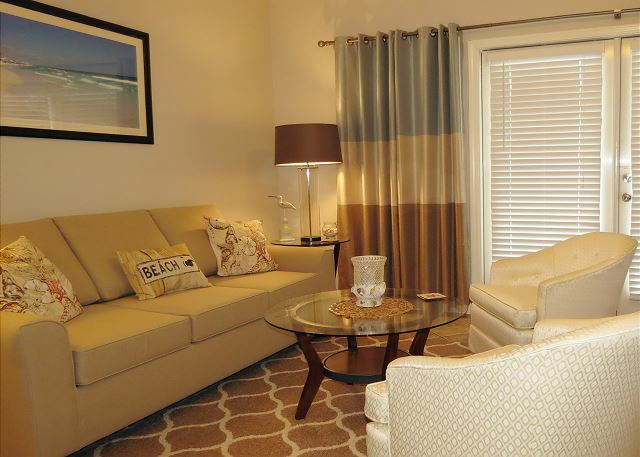 We're so glad you enjoyed wintering here at the beach and we look forward to having you as our guest again soon! Thank you for sharing your review! We have enjoyed having you as our guests over the years and we look forward to many more! We stayed in Carribean Dunes unit 122. And it was very nice. We were very pleased it was clean and plenty of room for family of four. The only down side was when people checked in above us they sound like they where going to come thru celing. But the convince of the first floor made up for it. 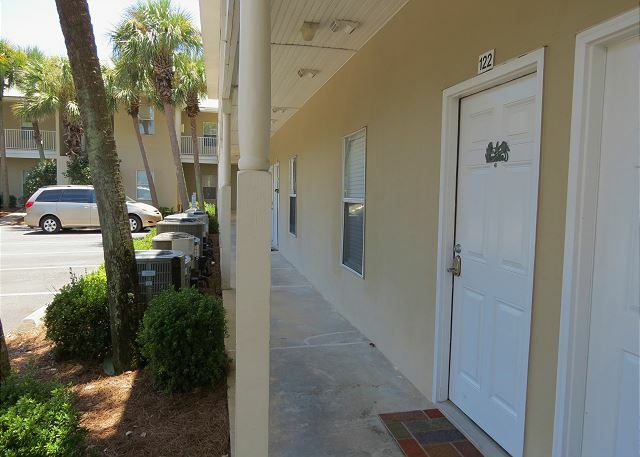 This unit is just across road from beach access. Very nice area. We loved it. Not that we used them much, but the televisions are small and the cable was not very good. Not a big deal because Crystal Beach is beautiful we did not stay inside much. Thank you for your review. We are so glad you all had a pleasant stay and we hope to have you back as our guests in Destin soon! Simple it was awesome my family were very happy in the place everything was clean and perfect. Thank you for sharing your review. We're so happy you had a great time and we hope to have you back soon! It was amazing from the time we stepped in the door until we left. Our neighbors and everyone that we spoke with staying and working at Caribbean Dunes was great. Thank you for sharing that you all had a great Vacation! 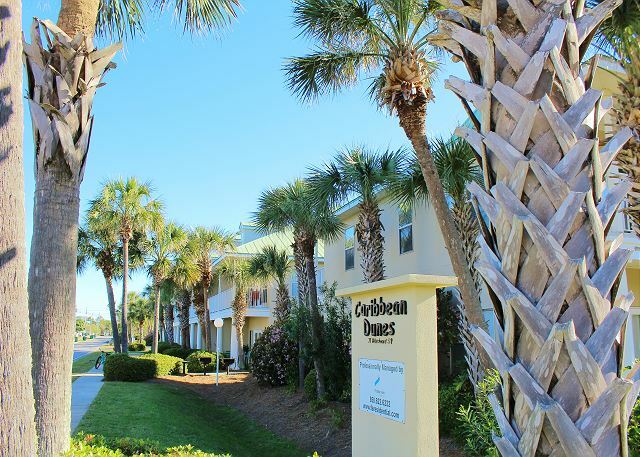 We hope you'll be back to stay with us at Caribbean Dunes soon! We had a great experience,we loved the location and neighborhood at Carribean dunes and looking forward to going back.